With the conference over, Doc was free to see the sights with me. But first we had housekeeping chores to do. We got up early, packed up our luggage, and checked out of the Wyndham. For the next couple of nights we would move across town to the Menger. It wasn’t that I didn’t like the Wyndham, (although I was more than a little annoyed by the $10 per day wifi charge). The Menger however, is the city’s old historic hotel located in Alamo plaza. It was no more expensive than the Wyndham, it had FREE wi fi, and given the opportunity to stay in such a lovely, old building I’m going to jump at the chance every time. 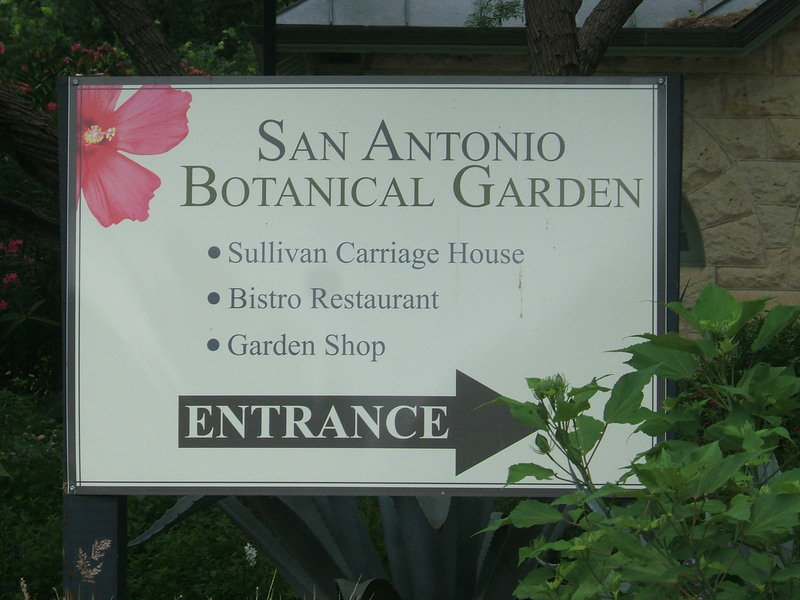 With our luggage loaded into the trunk of our much too expensive rental car, we drove 2 miles north of the city to spend the day at the San Antonio Botanical Garden. 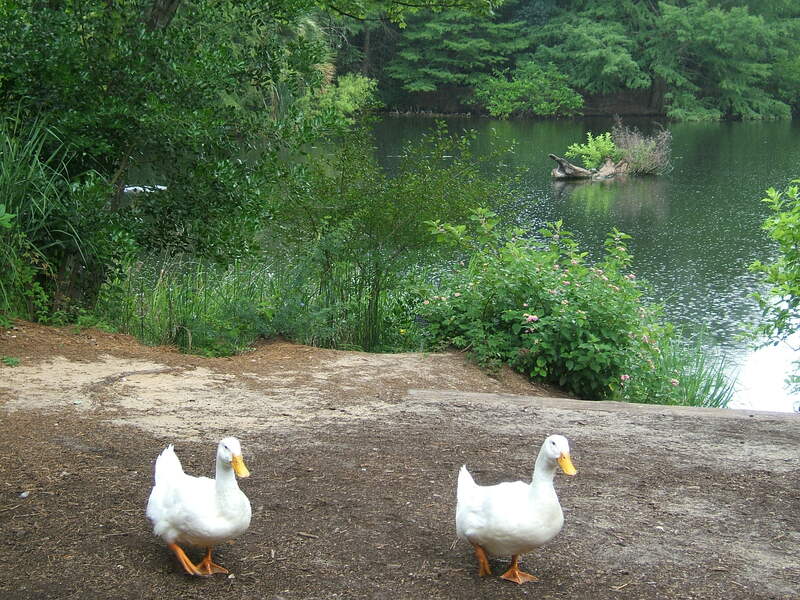 When I met Doc, I was studying Botany at Kent. He didn’t know a Tea Rose from a Dandelion and had never had the inclination to care. 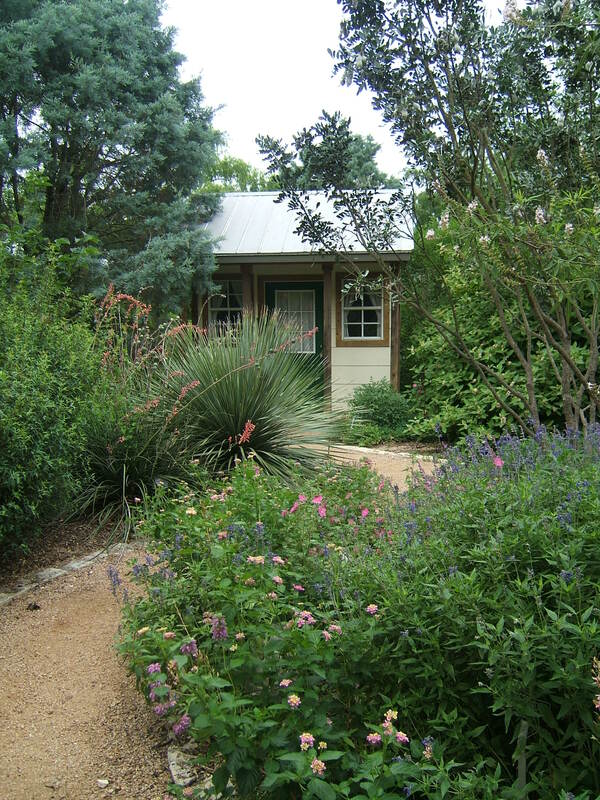 He was a “lawn man.” Foundation borders and flower beds existed only because the guy who owned the house before him had planted them. 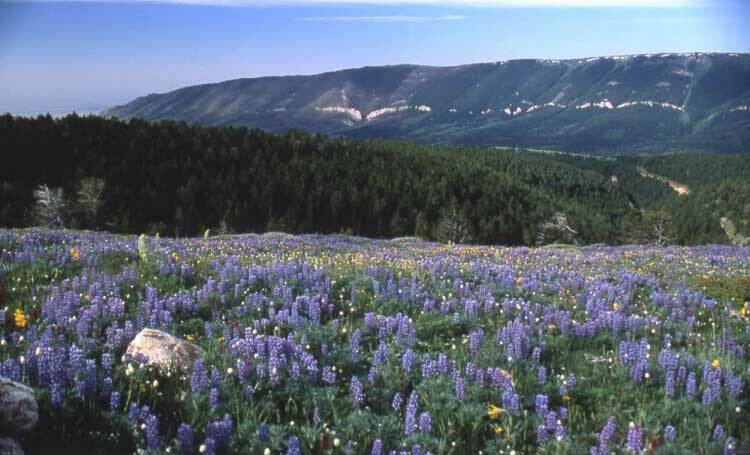 On our first vacation together we drove into the Bighorn Mountains of Wyoming. As we reached the top we were greeted with a field of solid blue. And when I say “field” what I really mean is a mass of flowers that stretched for more than a mile in all directions. Doc pulled off the road and stopped the car. We both stared in awe. “WHAT is that?” Doc asked. “They are Lupines,” I said. Doc made me read the field guide description to him before getting out of the car to take millions of pictures. For the rest of the trip, he stopped the car every time he saw a wild flower growing by the side of the road. We recorded more than 50 of them. I thought we’d never get to Idaho. Doc has been a plant person ever since. He’s forever asking me “What’s that?” I’m not sure if he’s really that curious or just that curious to see if he can find a plant that will stump me! 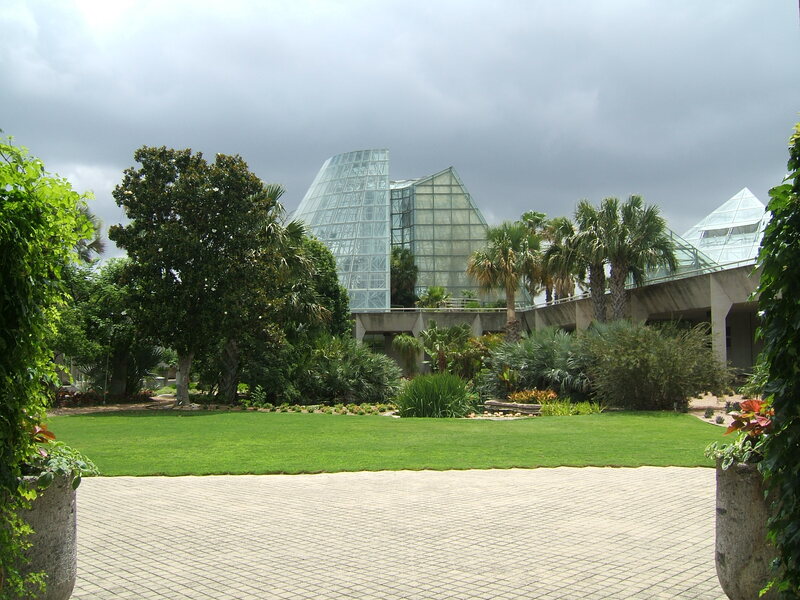 Over the past 21 years we’ve visited a lot of botanical gardens around the country. 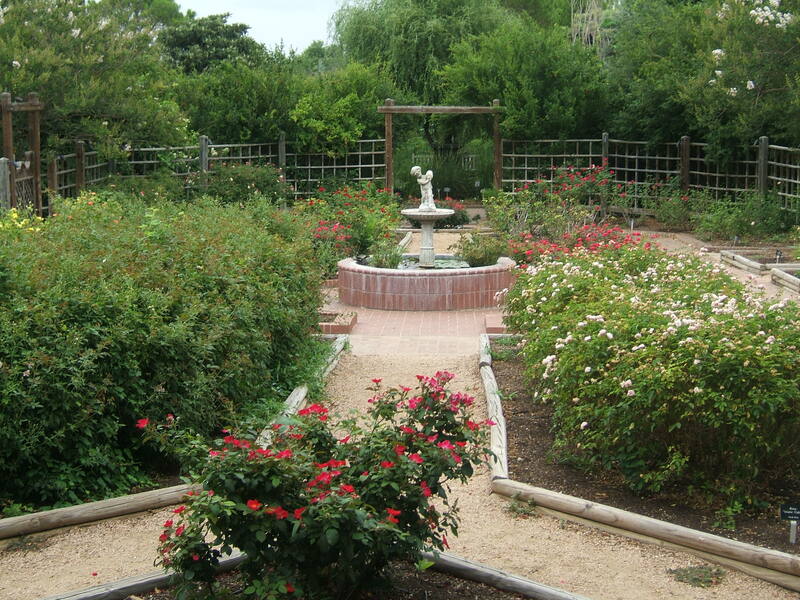 The garden in San Antonio wasn’t the largest we’ve been to, but it was spectacular. Every section was well planned and executed. Circular paths meant there was no worry about getting lost. 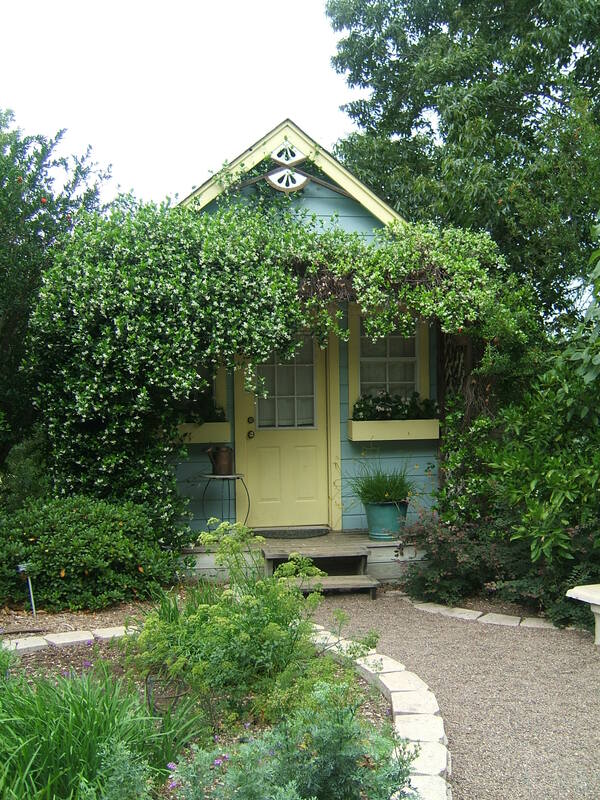 Whenever we visit a place like this we come away with all kinds of ideas for our own yard. We immediately spied a rock wall that had been planted with a large array of succulents. Our own rock wall had collapsed this winter and Doc had spent a day rebuilding it. We both knew immediately that we’d go home and plant our wall with this same sort of display. A bench made from old logs and slabs of wood was another idea we could steal. The bench in front of our stone wall was destroyed when the wall collapsed (it was a very hard winter) and the botanical garden bench could be easily replicated with our own woodland scraps and saved planks stored in our barn. We toured half the grounds and then came upon an observation tower. Located on the high point of the city, from the top of the tower we could see all of San Antonio before us. I’d read several good reviews of the garden’s Bistro restaurant and so climbing down from the tower we made our way down the hill to the main building. We ordered a cheese steak sandwich and had the kitchen split it onto two plates, and we ordered two sides of potato salad. Loaded with steak, peppers, onions and cheese the sandwich was very good, but the potato salad was fabulous with big chunks of potato and a nice mild dressing that would give my mother’s a run for the money (Sorry Mom). After lunch we retraced our steps and made our way to the conservatory. 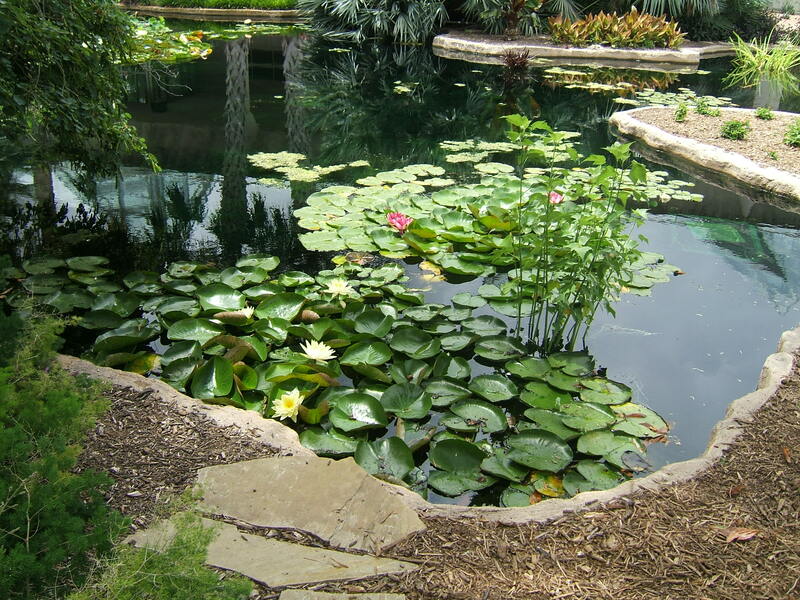 A central courtyard contains a tropical lagoon filled with blooming water lilies and other aquatic plants. 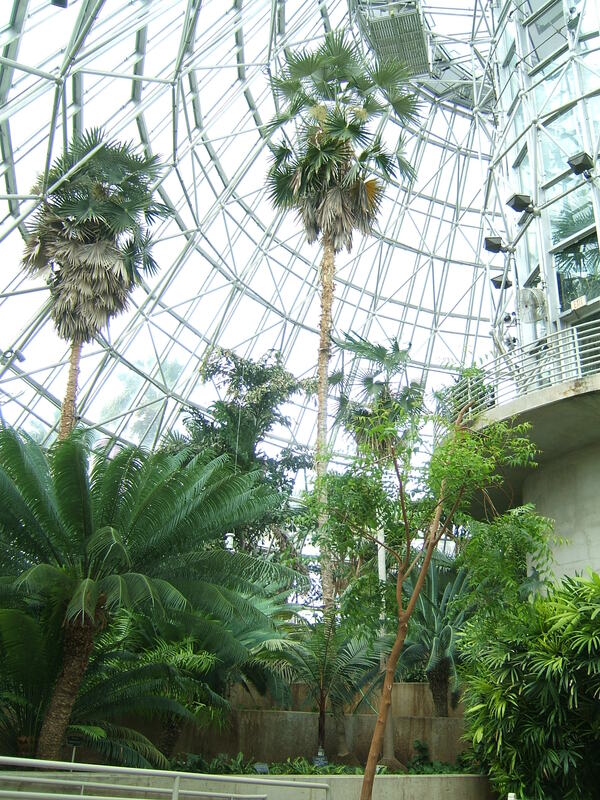 Surrounding the courtyard, a series of 5 spectacular climate controlled glass buildings house plants from desert regions to equatorial rainforests. The palm house soars an amazing 65 feet. We spent the rest of the afternoon wandering from one glass house to the next. 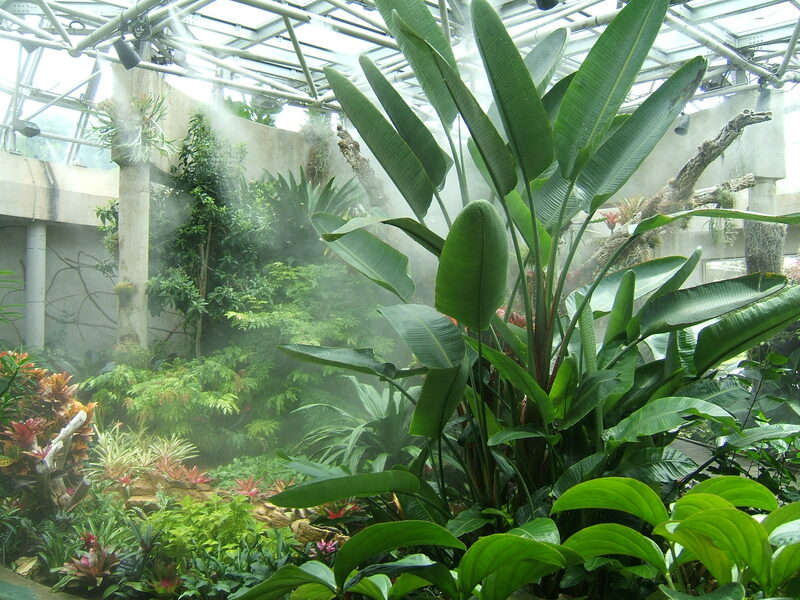 It began to rain as we took refuge inside the house of equatorial tropicals–my favorite of all the displays. The rain poured for a good half hour but I was happy to wander among the plants. Doc kept looking up at the glass ceiling, afraid it would never stop. “It will stop.” I sat down on a bench to wait out the rain. 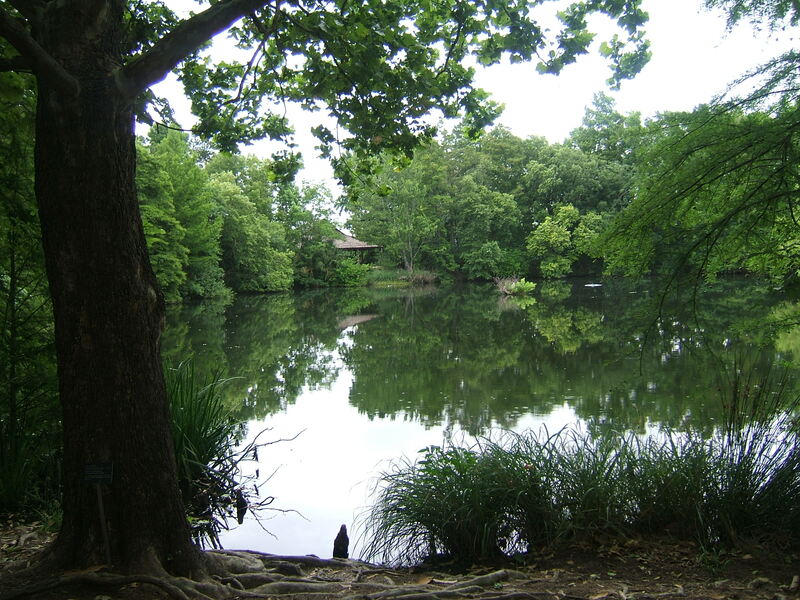 Five minutes later, the rain stopped, the sun came out, and we were on our way to the Japanese Garden. We checked into our room and then headed next door to the mall where we watched an Imax movie on the Alamo and then went down to the Riverwalk level where the band I had heard the day before was playing once again. We stopped and listened for a while and then started wandering along the Riverwalk looking for a place to have dinner. We opted for “The Iron Cactus” where, already feeling like I’d eaten half a cow this week, I ordered the Veggie Enchiladas and a frozen Margarita. It had been a long day. It would be another evening with the Heat vs. the Spurs.